Mr. Rogers is a trial lawyer experienced in a wide variety of litigation during the past twenty-five years. He has tried product liability, medical malpractice, insurance, employment and business cases and has arbitrated construction and labor disputes. 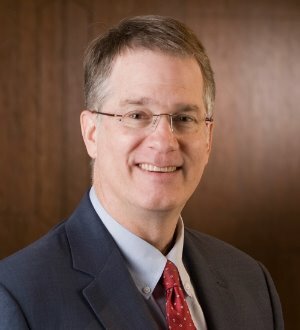 He routinely practices in federal and state court in Wichita and Kansas City. Mr. Rogers enjoys Martindale-Hubbell Law Directory’s highest "AV" rating for lawyers and has been selected by his peers for inclusion in The Best Lawyers in America® and the Missouri & Kansas Super Lawyers® list. In 2013, Benchmark Litigation named Mr. Rogers a Local Litigation Star. His peer memberships include the Product Liability Advisory Council, Defense Research Institute and the Kansas Association of Defense Counsel.